For the second year in a row, the Knights football team has battled into the AISA playoffs only to come up short in the semi-finals. This year with the move back to 3A competition, the Knights faced some teams they had not played in recent years. An injury to quarterback Tucker Neven early in the year and a season-ending injury to newcomer Cephus Cleveland challenged the team’s offense, but didn’t stop the Knights from adjusting their game plan. 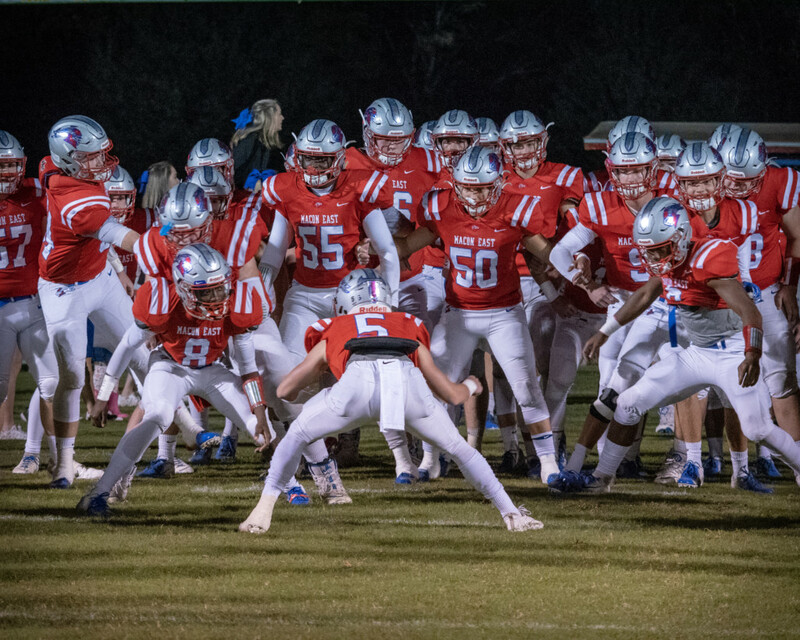 A 10-8 loss at Pike early in the season haunted the Knights, who had only one other season loss at Monroe Academy (49-28), and set them up to enter the play-offs against powerhouse Morgan Academy. The Knights came out on top in the first round of playoffs surprising Morgan with a win in Selma for the first time in six attempts. Tucker Neven completed 18 of 31 passes for 299 yards and 3 touchdowns as the Knights pulled away from the Senators in the second half. On November 9th, the Knights returned to Monroe Academy to face the defending AAA State Champs in round two. The Volunteers, who would go on to reclaim the title in Troy the next week, proved to be more than the Knights could handle in a 45-7 loss. Although a disappointing loss for the nine seniors and the team, the Knights are proud of their 9-3 overall season record in their first season back in the AAA classification. 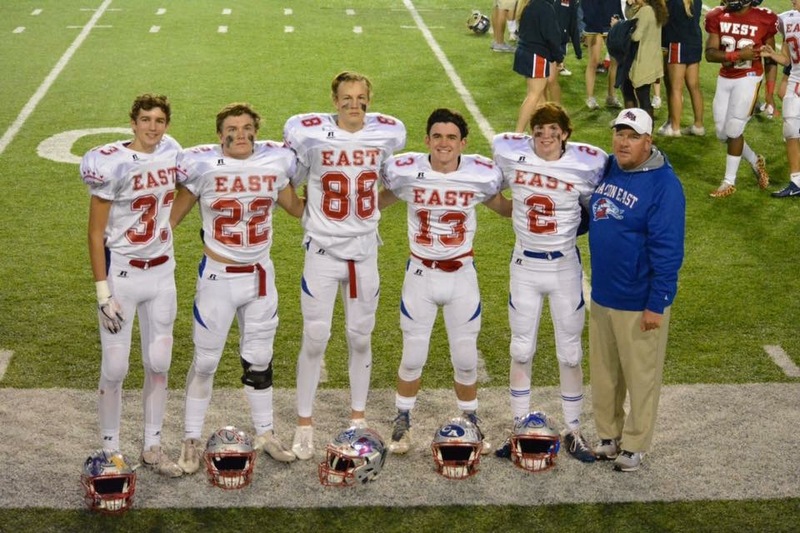 Four seniors, Jackson Ceman, Connor Higbe, Tucker Neven, and Brock Taunton, went on to represent Macon East on the West team at the AISA All-Star Football game at Cramton Bowl on November 30. Tucker Neven was named MVP of the West team receiving the 2018 John Faircloth Award. The 2018 Jimmy Hitchcock Memorial Award banquet was held May 3 at Frazer United Methodist Church. The objectives of the program are to recognize Christian leadership in athletics and to encourage and inspire others to emulate the man whose memory is perpetuated by this award. Since 1959, the Hitchcock Award has grown stronger each year in expressing the true Christian principles of the YMCA. The qualities of a Hitchcock nominee are strong personal character, dependability, 100% effort, team leadership, church leadership, school activities leadership, and scholastic leadership. Each Montgomery area school nominates senior athletes who possess these qualities. From this group of outstanding athletes, one female and one male are chosen to receive the coveted Jimmy Hitchcock Memorial Award. This year’s nominees representing Macon East Academy were Logan Goree and Madison McKee. Logan is a three sport athlete who has lettered in football, basketball, and soccer. He was a member of both Macon East AISA AA state basketball championship teams. He also participated on the AISA All-Star team in both football and basketball. Madison is a two sport athlete at Macon East lettering in volleyball and softball. She helped lead this years team to recapture the AISA AA state title and will continue her softball career at Faulkner University. Each year select freshmen are also recognized for their outstanding qualities in athletics, the classroom and community, as well as their potential to be future Hitchcock award nominees. 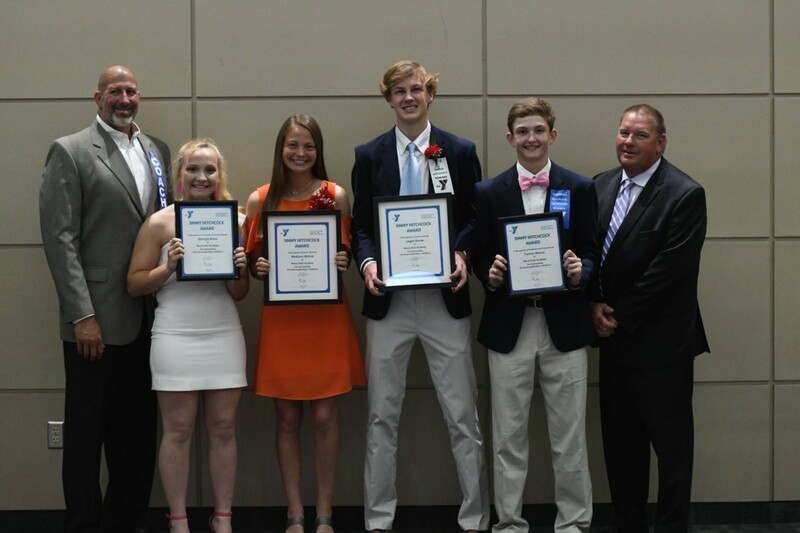 Georgia Blaze and Tanner Moore were selected as Macon East’s freshman certificate winners for 2018. Georgia is a Knights cheerleader and plays volleyball, basketball, and softball. Tanner participates in football, basketball, baseball, and the fishing team. Five Macon East seniors were selected to play in this year’s annual AISA All-Star football game on December 1 at Cramton Bowl. Coach Glynn Lott, one of the coaches for the East team, was honored as AISA’s AA Coach of the Year at the all-star luncheon held prior to the game. Tyler Watson was awarded one of four academic scholarships presented each year to AISA all-star football players and cheerleaders. Although the East fell to the West in the game, the senior athletes enjoyed a fun week of football and spending time with their fellow AISA students. The Varsity football team had an outstanding 9-1 regular season with just one loss early in the year at Crenshaw. 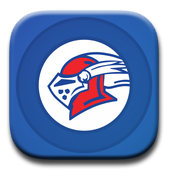 Macon East hosted rounds 1 and 2 of the playoffs defeating Clarke Prep 38-34 in round 1 and ending their season with a 50-13 loss to Escambia Academy in round 2 of the AISA AA playoffs. 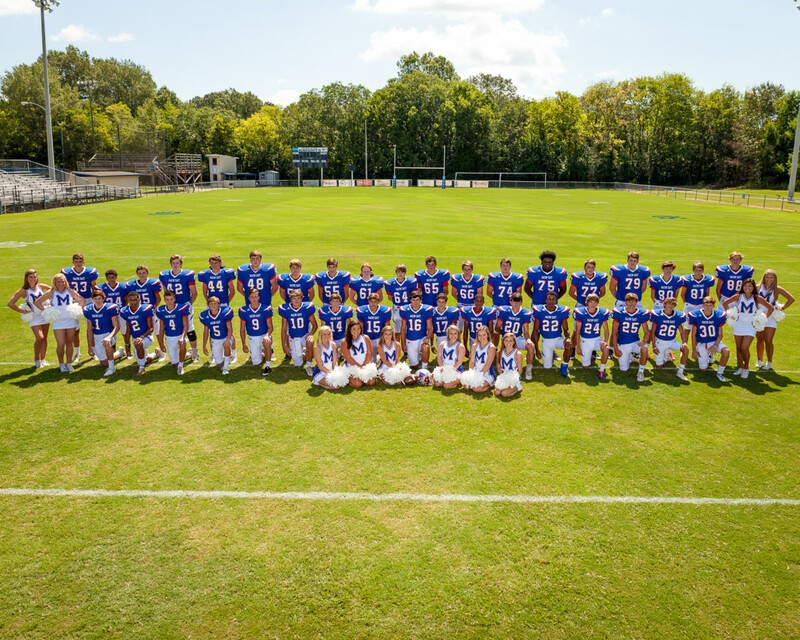 With 12 seniors and several new additions to the Knights squad, the team was ranked 6th by the Alabama Sports Writers Association heading into the playoffs. The 2017 season was the first team ranked since 2008 and the first to host a playoff game in 15 years. The Knights hope to carry this momentum into next year’s season and continue to build a successful football program. Five seniors (Logan Goree, Collin Harris, Zack Peacock, Wes Pugh, and Tyler Watson) represented Macon East in the AISA All-Star Football game on Friday, December 1 at Cramton Bowl (7:00 p.m.). Macon East quarterback, Tucker Neven was honored as the Private School Player of the Week at the November 7 meeting of the Montgomery Quarterback Club. Tucker returned to Macon East as a junior this year and led the team as QB into the 2nd round of the AISA AA playoffs. Tucker had 1,643 passing yards for the season with 22 touchdown passes, as well as 165 rushing yards for 3 touchdowns. 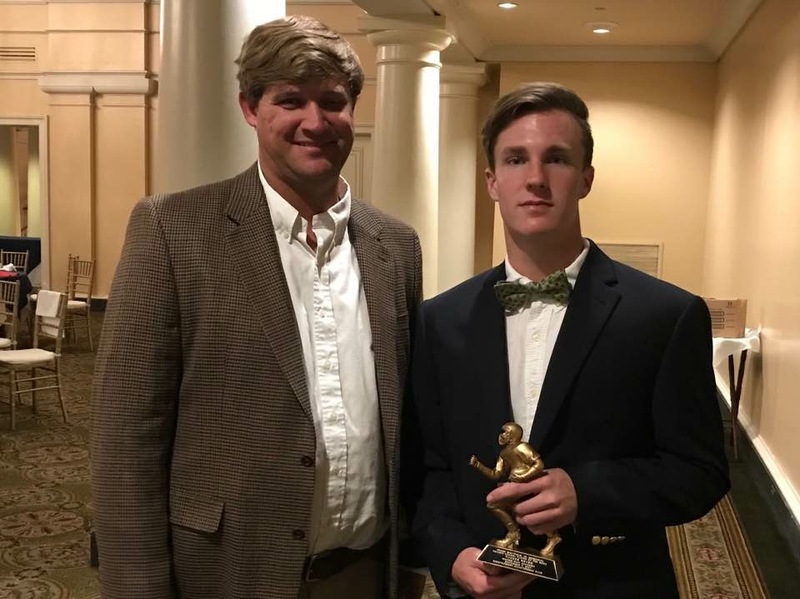 Completing 110 of 184 passes, Tucker was definitely a leading quarterback in the Montgomery area among public and private schools, and he was honored to be recognized by this organization. Founded in 1940, the 182 member Montgomery Quarterback Club has a long standing tradition of honoring area football players. We congratulate Tucker on his selection as a player of the week. 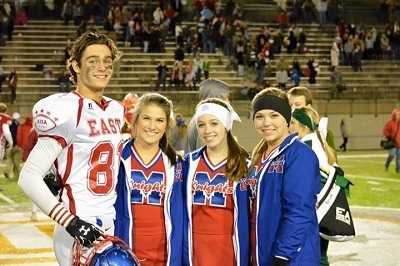 Four Macon East students were honored to participate in the 2016 AISA All-Star Football game held December 2 at Cramton Bowl. Connor Davis played defense for the East team forcing a fumble early in the first half of the game. 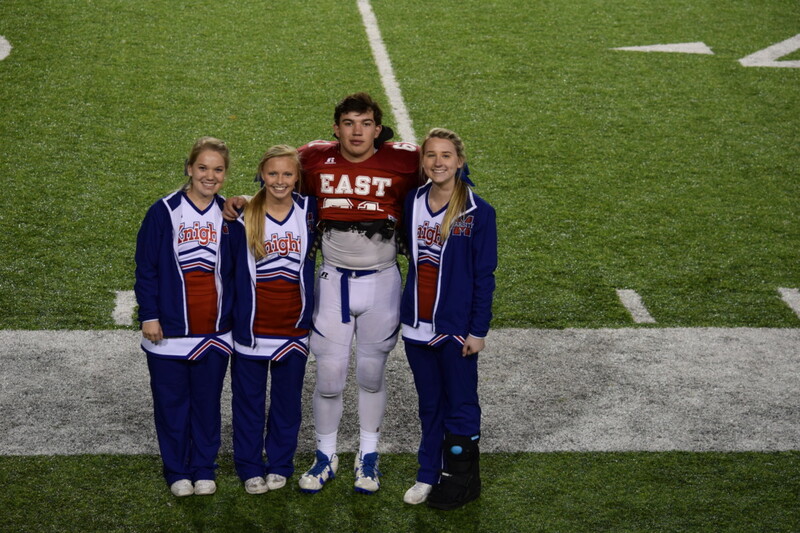 Rebecca Chapman, Rai Pritchett, and Alex Wyrosdick cheered Connor and the rest of the East team on from the sidelines as part of the all-star cheerleading squad. These seniors were selected as all-star cheerleaders during tryouts at UCA’s AISA cheerleading camp this summer at Huntingdon College. The participants enjoyed a few days of practice with their fellow AISA teammates and were honored at a luncheon prior to the game. The East team battled back in the 2nd half of the football game but fell to the West team 33-30. The AISA All-Star football game was held Friday, December 4 at Cramton Bowl. Ty Thomas was selected by the MEA coaches to represent the Knights on the AISA East team. Ty played wide receiver, and the East defeated the West 36-27. Macon East senior cheerleaders Paxton Searle, Carly Boutreis, and Hannah Davis were selected in tryouts at this summer’s AISA UCA cheerleading camp to participate on the East all-star cheer squad. The group enjoyed the week’s activities and time spent with the other AISA all-star athletes.